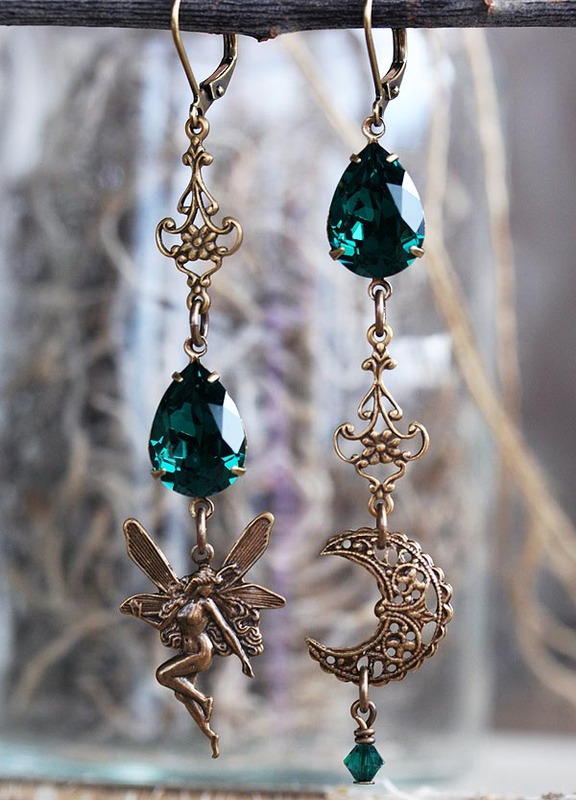 Asymmetrical whimsy in antiqued brass and Swarovski emerald green! 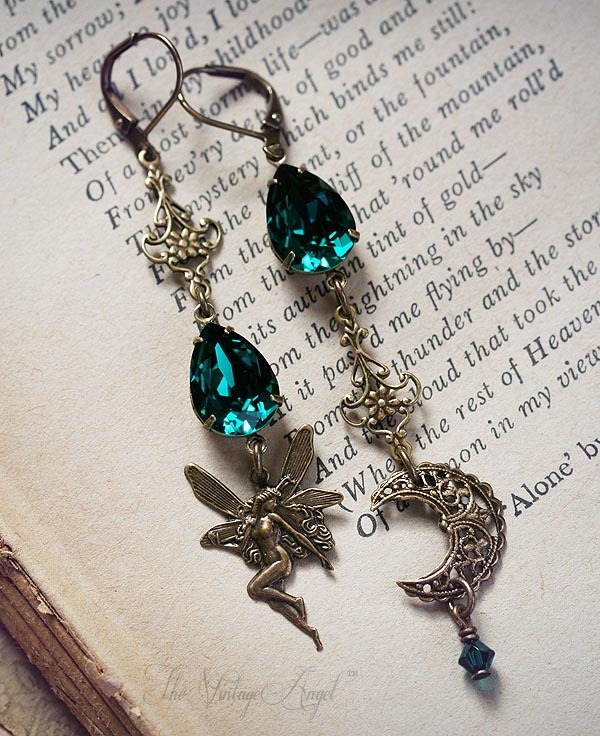 A filigree crescent moon, dancing fairie and ornate floral filigree connectors add the whimsy to the rich and vibrant Emerald teardrops and bicone bead. Perfectly mismatched, so unique. Antique brass leverback hooks (lead and nickel free). Crystals are Swarovski. About 3.25 inches long including hooks.